Gal Gadot as Wonder Woman with a sword/Warner Bros. If you saw Wonder Woman, you probably liked it, but you also might have been puzzled. She was involved in World War I in 1918. But at the end of Batman v Superman, Wonder Woman said she "walked away from Mankind" a hundred years earlier. Since BvS was released and set in 2016, the math doesn't add up. There's also the fact that, in the end of her movie, Wonder Woman is far from giving up on Mankind. What gives? In a video from a promotional tour for Justice League, Gal Gadot admitted that her movie had done the classic retcon, saying: "We realized that actually, there is no way that Wonder Woman will ever give up on mankind. The reason why she left the island was because she wanted to make their life better and safer – they are her calling. So – I’m giving you a very honest answer – sometimes, in a creative process, you establish something that is not necessarily the right decision, but then you can always correct it and change it. So Wonder Woman will always be there as far as she concerns for mankind." We understand the reasoning. When they brought Wonder Woman to life in her own movie, they decided to make her more optimistic and less cynical than she was in BvS, so they just pretended that part didn't happen. But we don't agree with it. We assumed at the time that the reason BvS set up that Wonder Woman had been in hiding for 100 years is that they had to explain why she hadn't been around all this time. In Man of Steel, Superman was the only superhero in the world, a divisive and shocking change to human history. In BvS, they had to set up the Justice League, so they had the "metahuman theory" that superheroes and supervillains existed but were hiding until Lex Luthor tracked them down. By changing that, we're now left with the question of where Wonder Woman has been all these years. If Wonder Woman was over a hundred years old and was the force being the end of World War I, then why hasn't anyone noticed her? You're telling me a super-strong woman with bulletproof bracelets has never been reported? How are they going to explain that? 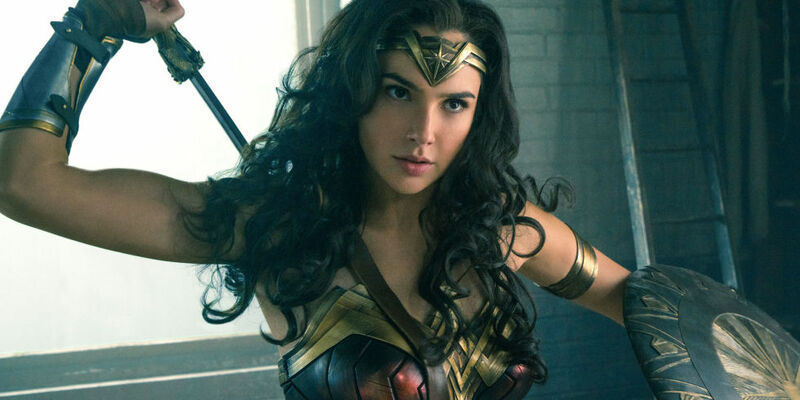 Wonder Woman is available now on digital HD, Blu-ray and DVD, starring Gal Gadot, Chris Pine, Robin Wright, Danny Huston, David Thewlis, Connie Nielsen, Elena Anaya, and Lucy Davis. Justice League premieres in the US on Nov. 17, 2017. What do you think of the retcon? Well it was 1918 so it's not like everyone had an iPhone to take her picture. Other than that one picture there wasn't any photographic evidence and while people probably talked, it was probably in time deemed a legend and nothing more. And most of the village where the picture was taken died. I always figured the sequels to the movie would explain the 100 year gap better.